Hospitals and health centers require patient scheduling software to manage patient appointments, automate administrative workflows, and allocate medical staff accordingly. This type of software includes scheduling algorithms that are meant to reduce patient wait time. It also handles the communication between patients and the medical personnel to confirm scheduled examination and treatment sessions. Patient scheduling software can integrate with medical practice management software solutions, adding to the efficiency and effectiveness of existing practice management processes. Some solutions integrate with electronic health records to access and update patient information and some collect and process crucial patient data that is fed into medical billing software. Patient Scheduling reviews by real, verified users. Find unbiased ratings on user satisfaction, features, and price based on the most reviews available anywhere. Clockwise.MD provides online self-scheduling and queue management solutions for healthcare organizations. Robintek creates customized web pages that integrate with their Content Management System, specifically designed to meet the needs of the Continuing Care Retirement Communities. 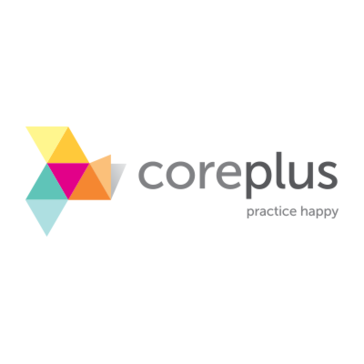 coreplus is an online health practice management software. COWORKER for Windows integrated Clinical Records and Financial Accounting Software is a comprehensive Windows-based suite of applications providing all of the power and flexibility to address the quickly changing needs of today's LTC facility. DASH matches patients with the right provider at the right location at the right time for the right duration. Ddots allows users to track adherence to protocol requirements each and every step of the way from patient treatment plans to required regulatory notifications. DocMeIn is a free online service for healthcare providers to schedule patient appointments online. DocPlanner is a booking platform and management software provider for doctors in Europe and Latin America. DoctorConnect is the premier appointment reminder and patient engagement tool. We have features ranging from text reminders, after-care surveys, wait list management, re-care & retention, and more! We can integrate with your existing office software to improve work flow, decrease no-shows, improve your online reputation and improve patient satisfaction. Contact us today to schedule a demo of the best patient engagement tool on the market for doctors. We've been in business for over 25 years - we have veteran solution engineers standing by to help you with all your patient engagement needs. Fully customizable, 2-way, and bi-lingual. DoctorMeow is a paging solution that uses your existing computer hardware to help you operate your business with business intelligence, alert escalation, and more. Dr.Pad is a management solution, designed to help manage patient medical records including appointments, prescription, medical and visit history. EasyPractice is a platform designed to help therapists and clinicians handle SMS reminders, online booking and journals. Integrated billing software with appointments, workers compensation, comprehensive reporting, and marketing management. Online clinic appointment scheduling system with automated patient communication, patient forms management, and multilingual support. Practice management system that includes billing and scheduling with carrier specific auditing system (CSAS). Practice management and EHR software that includes patient registration, scheduling, charge and credit posting, and mobile features. Effortlessly register, schedule, post payments, file claims, and maintain inventory distribution online. HDSI now delivers a total suite of solutions to meet the growing needs of long term care providers and their residents. HealthQuest 3.0 is an online appointment management software designed to help enable and expand new health services and vaccinations in pharmacies and clinics. Hippocamp is a cloud based practice management system built for the Allied Health sector. Its features include: practitioner scheduling; an interactive calendar for patient, group and inhouse appointments; notes and letters; task management; sms reminders; billings; and more. Nimblr.ai is an artificial intelligence powered assistant that manages healthcare appointments. HosPortal is a complete medical rostering solution for public and private hospitals. iBody Academy Client Management is designed for small-medium sized extended healthcare practices and includes everything needs to manage a clinic. Health care software that manages patient, doctor lab, medication, billing and scheduling information. IQ Clinical work directly with health professions programs to understand the unique scheduling challenges these programs face. Practice management and billing solution that enables you to improve your cash flow and office efficiency. JBDev is scheduling for healthcare practices. Its features include scheduling by group, overtime monitoring, staffing forecasting, employee notification, and attendance reports. Klinix Assess is a software for Canada market that provides patient appointment scheduling, receivables tracking, patient medical records maintenance. LabTrax is a web based ordering and scheduling solution for the Clinical Laboratory and Radiology industry. Its user friendly interface is designed to allow the Clinician, Nursing Home or hospital to order tests with a few simple mouse clicks. Fully-Integrated Software Solutions for Long-Term and Post-Acute Care (LTPAC). Communicate with patients, physicians, departments and remote sites with ease. Share real-time patient status for improved patient flow between departments. HealthView Schedule even automatically checks for scheduling conflicts in all departments to ensure there are not duplicate bookings of physicians, patients or resources. mds:collect is a single source solution to medical practices in both technology and revenue cycle management that offers charge capture through EMR, payment posting, AR follow up, denial management/ appeals, patient billing, and more. Physician Scheduling solution that addresses the scheduling and communication needs of medical professionals working in hospitals. Medical Scheduler is an agenda software designed to organize staff and patient appointments in schedules that can be configured flexibly. Simple and free EHR for iPhone, iPad, Android, and Desktop. Medical Resident computer-assisted scheduling system and online schedule publishing. MESHAI is scheduling. MESHAI takes shifts, team roster and requirements to create the best possible schedules with near-mathematical optimality. A user-friendly mobile based solution for complete remote care management, connecting Providers, Patients, Family Members & Administrators. Offering complete patient relationship management. Completely integrated. Totally automated. 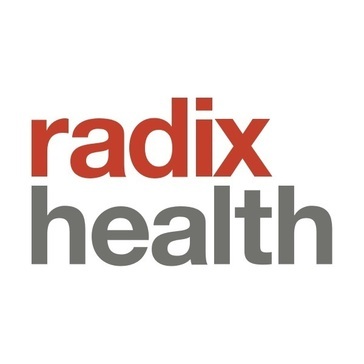 Dynamic patient self-service scheduling designed for hospitals and clinics. Allows hospitals and healthcare organizations to access up to the minute on-call personnel information remotely over the web. Scheduling and online communication tool designed to meet the needs of health care providers. openDoctor is a real-time patient engagement and patient access platform translating complex scheduling processes into simple, people-friendly experiences. From family medicine to radiology, openDoctor works in conjunction with existing systems to allow for a real-time scheduling environment for both patients, referring providers, and call center staff. Patients also receive reminders, fill out their registration forms, make payments, and see post-appointment reports. PatientWay Suite streamlines patient access through web, kiosk and mobile apps by making the patient a more active participant in the delivery of their care, healthcare organizations will quickly realize time and cost savings, while increasing staff and patient satisfaction. PBOmd, a cloud-based EHR solutions for the physician market. PencilMeInNow is permission based and custom designed to satisfy even the most complex needs. Hi there! Can I help you find the best Patient Scheduling solutions?